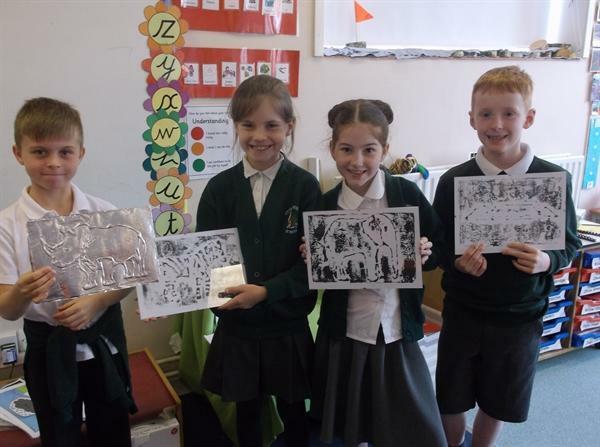 Jack, Maddie, Luke and Anastasia were the lucky winners of Miss Pascall's staff promise. 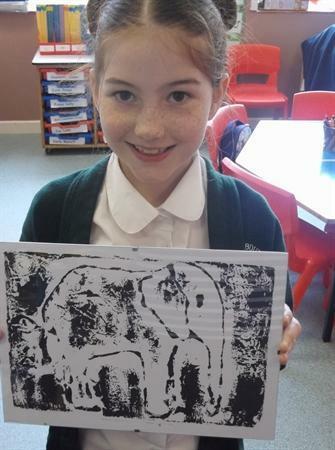 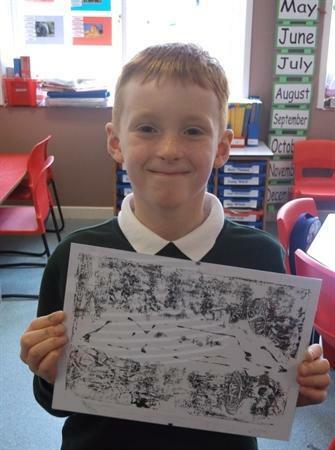 Over a few weeks they traced, glued, foiled, printed and framed their very own African Art. 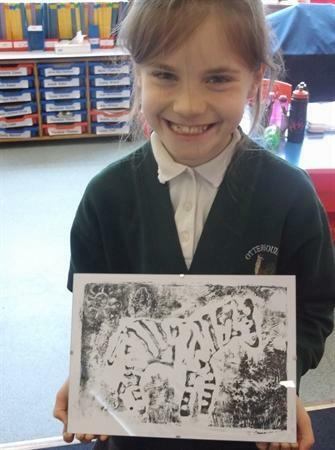 Look at the amazing results!